The review for the UBS Health Insurance Company USA leads to UBS Wealth Management. This company offers financial services for individuals who have a large amount of money across the world. UBS Wealth Management will manage funds both in the United States and across the world. Are you trying to locate health insurance for you or your family? Enter your zip code below and begin today finding quotes in your area today! UBS Wealth Management does not offer any type of health or medical insurance. UBS Wealth Management does offer life insurance, but if you are looking for health insurance, including dental or vision coverage, you will need to speak to another insurance company or contact an independent health insurance agent. UBS Wealth Management also provides estate-planning services, financing for businesses as well as mortgages and lending to individuals. UBS Wealth Management has a main corporate office in the United States located in Union City, New Jersey. UBS also has individual offices all over the United States in the 50 states, and has a strong worldwide presence. The main client services phone number is 800-354-9103. In addition, if you are interested in UBS Wealth Management Services, you can reach out to an individual agent. There is a complete listing of agents on the UBS Wealth Management website. You can easily search by location and zip code. Currently nearly 7,000 financial advisors and agents work in the United States. While UBS Wealth Management does not offer any type of health or medical insurance products, there are many products available for individuals. UBS Wealth Management offers life insurance coverage, protection in the case of untimely death, and expenses associated with long-term care. However, it is important to remember that UBS Wealth Management is unable to offer proprietary insurance programs and products. Instead, UBS spends a lot of time and resources on researching third party companies and determining if those companies are legitimate and able to offer life insurance products to UBS customers. Some of the different products that a UBS Wealth Management advisor can help you with includes helping protect your family with either a term or whole life insurance policy. There are products that can help replace your income in the case that a disability prevents you from working. Long-term care expenses can add up in a short amount of time, and UBS Wealth Management can help evaluate how to potentially cover those costs. In addition, UBS offers life and estate planning services that can assist children and grandchildren with the details and expenses associate with paying estate taxes without having to liquidate all the family assets. UBS Wealth Management also offers businesses and corporations with succession planning services to ensure a seamless process that benefits everyone, including key employees. UBS Wealth Management offers universal life insurance that provides complete cash value to you and your family. Another available life insurance product is term life insurance. This policy can offer protection for you and your family for a certain amount of time. This type of policy is best for a young family that may have college expenses and a mortgage to pay off in the case of a sudden death. There are additional life insurance options such as a variable life policy that allows you to invest in professionally managed accounts. A Survivorship life insurance policy offers protection for two people and is often used to simplify an estate planning process. UBS Wealth Management offers Disability Insurance to customers. If you are no longer receiving income due to an injury or illness, this insurance can help replace some of your lost income. Finally, Long-Term Care Insurance through UBS Wealth Management can provide you with financial assistance if you should need help with basic living help, such as dressing, eating, walking and more. 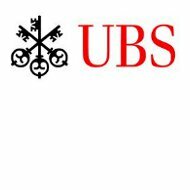 UBS has a detailed career webpage that contains all the information necessary to learn more about job opportunities with the company. The information is broken down by category of interested applicant. These include recent graduates, MBA graduates, professionals and the opportunity to take part in an apprenticeship in Switzerland. Once you select a category, you can then search for a position, learn about the culture of UBS, or find out more information about available benefits. Having a difficult time finding health insurance? Just enter your zip code below to receive health insurance quotes!